"Acts of conservation without the requisite desires and skills are futile. To create these desires and skills, and the community motive, is the task of education." April 7- 2019. Destination for Exploration at Picnic Point (Sunday, 2:00–3:30 p.m.) Learn from experts about the natural and cultural history of Picnic Point with the Friends of the Lakeshore Nature Preserve. Activities are fun for children and adults alike. Seed Fair for the Eagle Heights Community Gardens - ﻿April 1, 9:30-11. Hundreds of families, who have registered for garden plots, come to this event to pick up their free seeds. The Friends help the children learn about seeds and soil. This year, naturalist Sue Denholm, with Gisela Kutzbach, will have children explore the nature of earthworms. The event is organized by University Housing. Earth Day at the Eagle Heights Community Center, April 21. The Friends contribution to the Earth Day celebration organized by Jeff Hinz of University Housing included opportunities for children to make a pledge to help the Earth, to touch and examine natural materials, and to learn about the complexities of the forest food chain with the "Into the Forest" Game. Sue Denholm and Doris Dubielzig of the Friends provided ideas and materials, Gisela Kutzbach and Preserve outreach coordinator Bryn Scriver assisted. Nelson Institute Earth Day Conference, Tuesday, April , at Monona Terrace. Gisela Kutzbach organized the exhibit this year, and Bryn Scriver of the Preserve staff, with Adam Gundlach, also participated and engaged with visitors. Steve Sentoff and Doris Dubielzig also volunteered and helped increased awareness and interest in the Preserve and the activities of the Friends. Earth Day at the UW Hospital, Week. The Friends exhibit for the Preserve during Earth Day week, joining the Green Step Challenge exhibits of the hospital's Sustainability Group led by Shannon Bunsen. 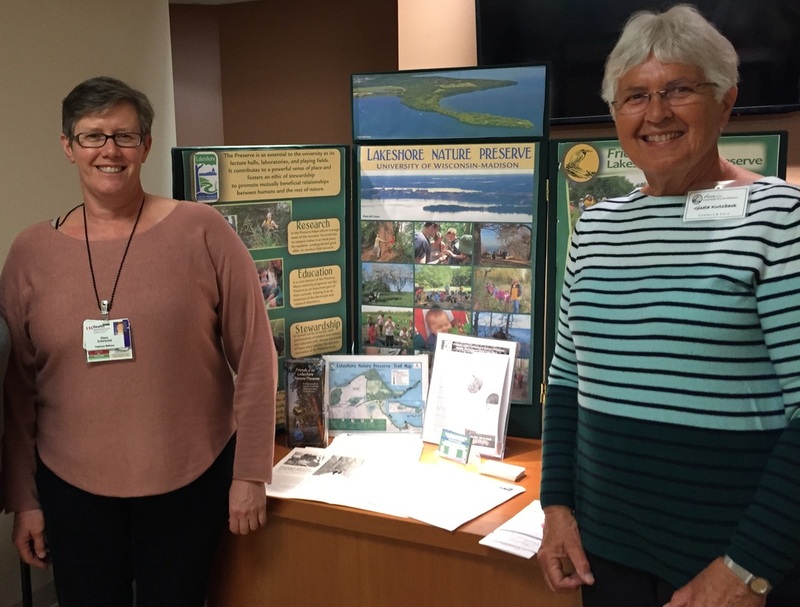 The Friends coordinate a display with Preserve staff, featuring a slideshow of Preserve highlights and providing information on field trip and volunteer opportunities for the hundreds of employees and visitors passing by on their way to the cafeteria during lunch break. Bryn Scriver and Gisela Kutzbach coordinate with Shannon Bunsen. Sustain-A-Bash, September. This event, sponsored by the Office of Sustainability, WE CONSERVE, and University Housing, is helping students to make sustainable choices in their living styles. 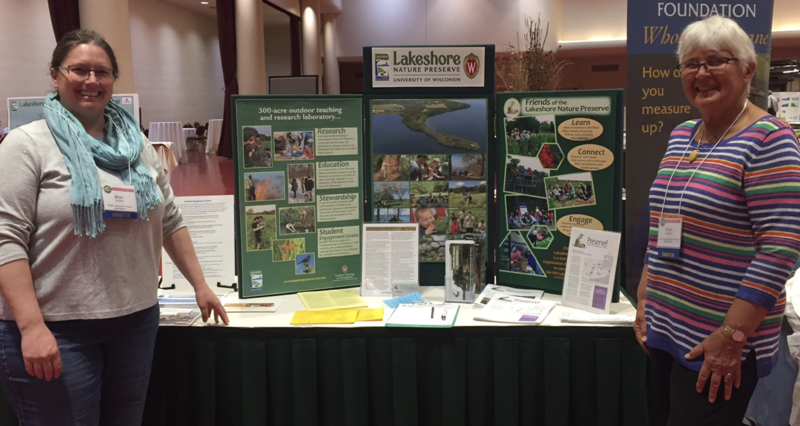 The Friends are teaming up with Preserve staff and Students for the Preserve at this event at a table featuring the Lakeshore Preserve. We engage students with a Trivia quiz relating to the Preserve and engage them in conversation about the Preserve, a place where nature and humans meet. 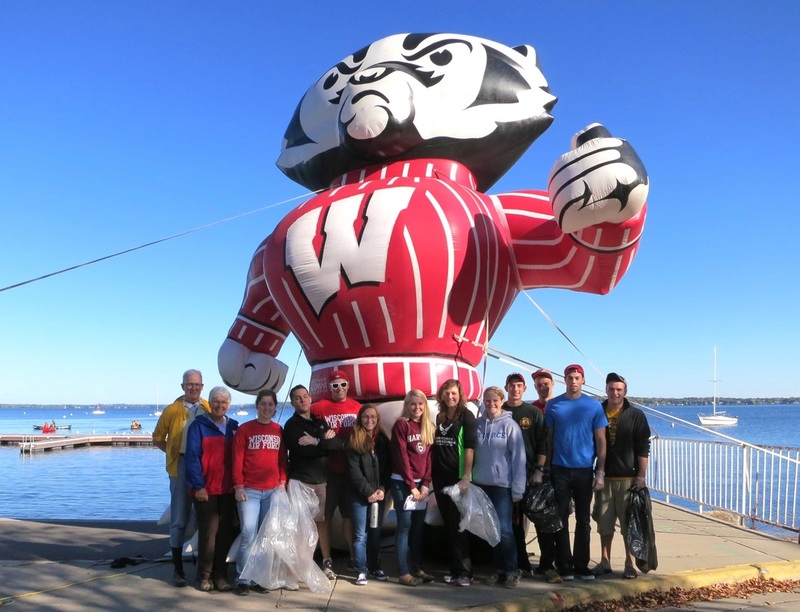 Nelson Institute Earth Day 2018. Bryn Scriver and Gisela Kutzbach.